Click the jump to see all the ingredients for this gleaming look! 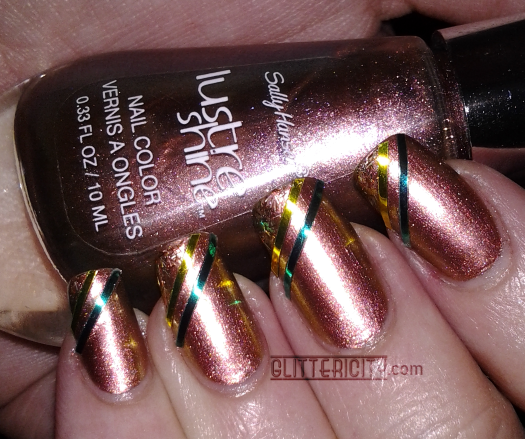 I started with three coats of Firefly, from the Sally Hansen Lustre Shine line. 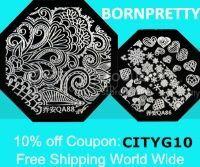 (I swatched this one before--check it out!) 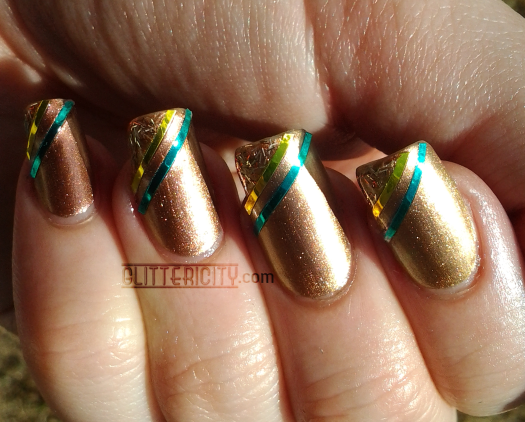 This warm copper shade shifts so many ways, but the main changes are to green and gold, so I used striping tape (from dollarnailart.com) in the same shades, to bring out those hues. I've had this topper by Australis called Frisky Feathers for a while now. 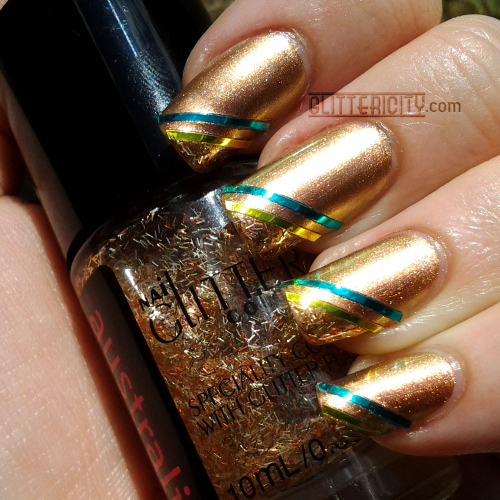 Densely-packed small bar glitters in copper and gold, and it's so perfect for this. 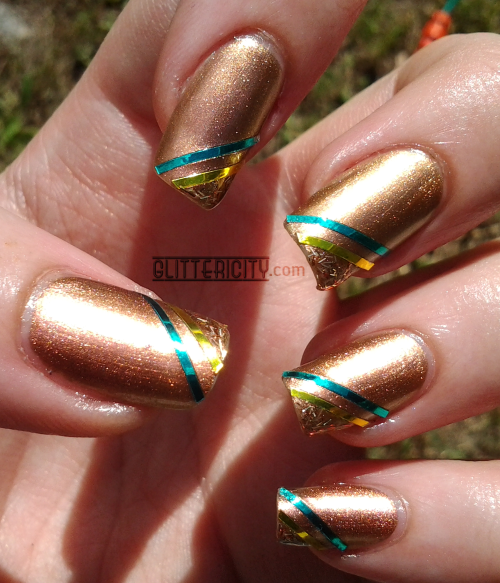 I put two coats of it in the top corner of the free edge, above the gold stripe. It's so rich and shiny, and looks so different at every angle! I love it.